Drone Alps gives air to your portfolio: property advertisements, sporting events, weddings, TV reports, institutional videos, technical inspections. Our drones provide unprecedented viewing angles that were previously unaffordable or impossible. Very attentive to compliance, we use drones approved by the DGAC and flown by licensed pilots covered by public liability insurance up to the value of $1,000,000. 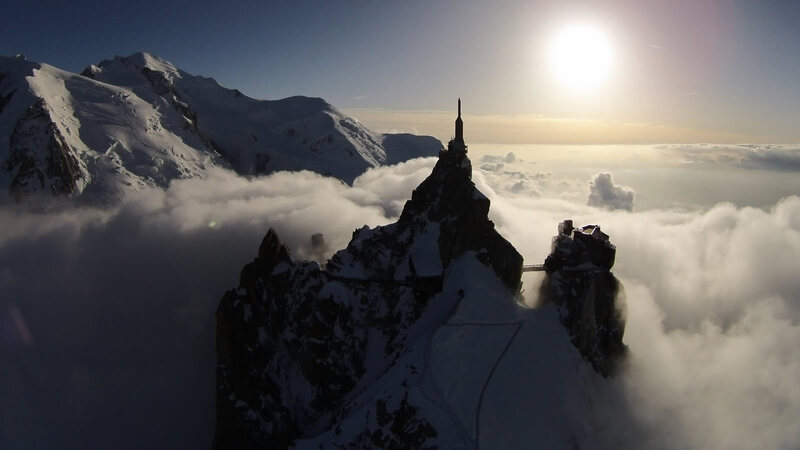 Created by an aerospace engineer, who is also a qualified maths teacher and paraglider pilot, Drone Alps was born from the observation of new needs of media and the tremendous contribution of drones in the filming process. At ground level or 150 m high, our equipment ensures smooth and perfectly stable picture. Our drones are equipped with HD cameras, 3-axis stabilized to shoot movies in 4K 25 FPS or 1080P 60 FPS for smooth and spectacular slow motion footage. We can also take 14MP photos. Our compact and lightweight equipment allows us to reduce logistics to a minimum and offer very reasonable rates. Our travel expenses are included within the Chamonix valley. Contact us for a quote.